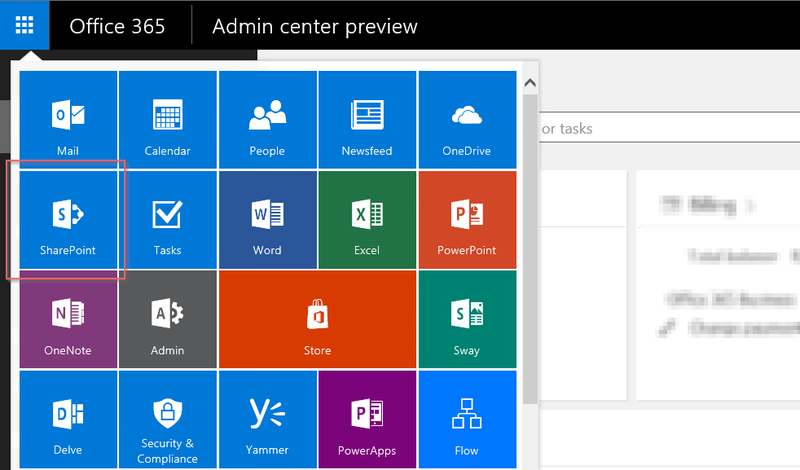 #Office365Challenge – Office 365 Changes to App Launcher and Sites. 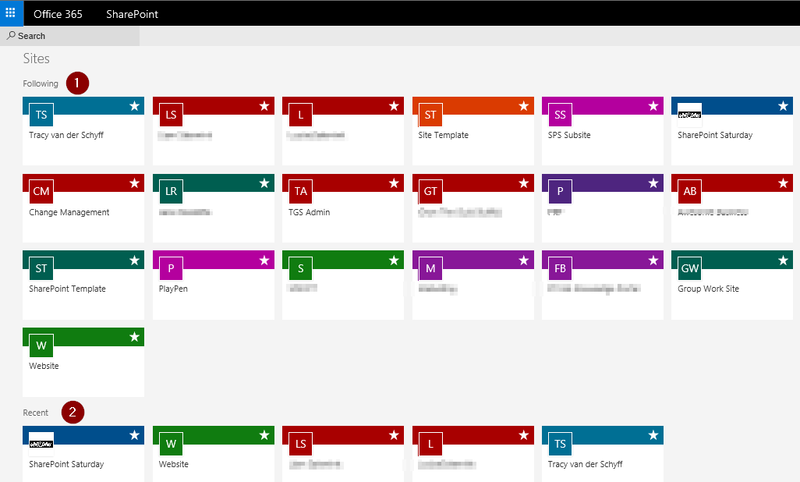 In the last couple of weeks a lot of changes has happened in Office 365 / SharePoint Online. Today we’ll start to look at the App launcher and Site Contents. The first thing you’ll notice oce you’ve logged in (after you’ve spent 5 minutes looking for the Sites Tile), is that Sites have been changed to SharePoint. Definitely not a ‘biggie’, but if Training People and Change Management is your duty, then these little things need to be noted. Once you’ve clicked on SharePoint, you’re greeted by a completely different looking page. Sites you are Following (1) and Recent (2) are shown on the left. You can click on Display all (3) to show all. Frequent (4) and Suggested (5) is also shown here, not in the old Icon style, but more of a card style – similar to Delve I’d say. When you’ve clicked on Show all, the following page will be displayed, which includes Following (1) and Recent (2). Click on the star in the corner of the card and you can stop following sites (will not display here anymore). This means it’s not actually a site content page – but again – very similar to Delve where it pushes content you work with. To see all your subsites, even if you stopped following them, you will have to navigate to your top level site, and go to Site Contents there. We’ll have a look at this tomorrow. Remember change is hard. Sometimes you just have to go with the flow, navigate and learn as much as you can until you feel comfortable in the new environment. Overview of my challenge: As an absolute lover of all things Microsoft, I’ve decided to undertake the challenge, of writing a blog every single day, for the next 365 days. Crazy, I know. And I’ll try my best, but if I cannot find something good to say about Office 365 and the Tools it includes for 365 days, I’m changing my profession. So let’s write this epic tale of “Around the Office in 365 Days”. My ode to Microsoft Office 365. Keep in mind that these tips and tricks do not only apply to Office 365 – but where applicable, to the overall Microsoft Office Suite and SharePoint. Office Servers MVP & Absolute lover of all things People, Microsoft & Tech. My life Mission is to facilitate the evolution of human capabilities.